S -36° 7' 4" and W -59° 38' 57"
Velloso in Partido de Tapalqué (Provincia de Buenos Aires) is a city located in Argentina about 126 mi (or 203 km) south-west of Buenos Aires, the country's capital town. Current time in Velloso is now 12:36 PM (Sunday). 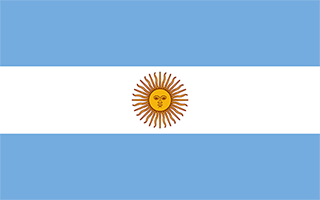 The local timezone is named America / Argentina / Buenos Aires with an UTC offset of -3 hours. We know of 8 airports closer to Velloso, of which one is a larger airport. The closest airport in Argentina is Olavarria Airport in a distance of 62 mi (or 100 km), South-West. Besides the airports, there are other travel options available (check left side). Since you are here already, you might want to pay a visit to some of the following locations: General Alvear, Tapalque, Saladillo, Las Flores and Azul. To further explore this place, just scroll down and browse the available info. Let's start with some photos from the area. Aerolíneas Argentinas Flight 644 refers to a Douglas DC-6, registration LV-ADW, that on 19 July 1961 was due to operate a domestic scheduled passenger service between Ministro Pistarini International Airport and General Enrique Mosconi International Airport, but crashed 12 km west of Pardo, Buenos Aires, Argentina, half an hour after takeoff, owing to severe turbulence during climbout. Some reports stated the aircraft was struck by lightning. Located at -36.2328, -59.5156 (Lat. / Lng. ), about 11 miles away. These are some bigger and more relevant cities in the wider vivinity of Velloso.